Further proof that "all natural" can be one of the most meaningless product buzzwords ever. Companies are supposed to advertise their products responsibly, but sometimes items hit store shelves backed by misleading language or unproven claims. And in the end, this hurts consumers who put their trust in these claims, in the form of their hard-earned dollar. So who are some of the biggest offenders of this less-than-truthful marketing? Come along on our tour of the top products that have all been forced to change how they brand their products, after being sanctioned for misleading advertising — or are expected to be forced to change quite soon. 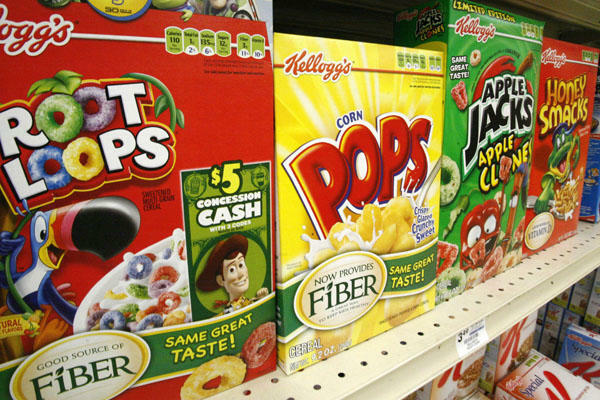 Most recently, Kellogg's was slapped with a suit against their Kashi brand. The company can no longer market Kashi products with the labels "All Natural" or "Nothing Artificial," thanks to a class action suit against the company. This isn't the first time Kellogg's has been forced to retract advertising claims. In 2011, the company paid $5 million to settle a class action lawsuit over claims that Rice Krispies cereal could boost the immune systems of children. Additionally, the company paid $4 million to settle a similar suit against Frosted Mini-Wheats, though that case did see the company deny any wrongdoing. 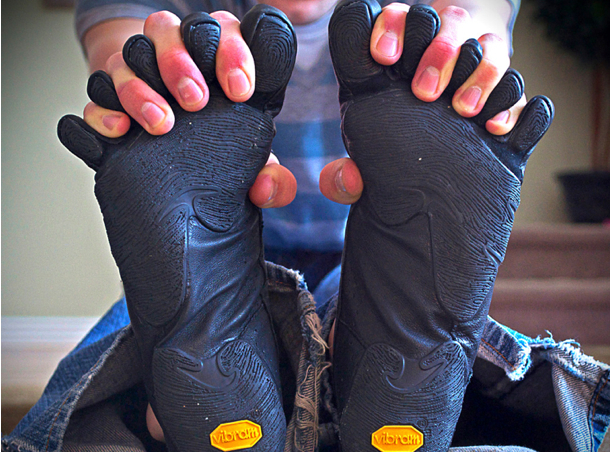 Vibram Five Fingers recently reached a settlement agreement whereby they will no longer claim that their minimalist running shoes have health benefits. The company reportedly decided to settle, rather than have a prolonged legal battle over the issue. If you have purchased a pair, you may be eligible for a refund of up to $94. 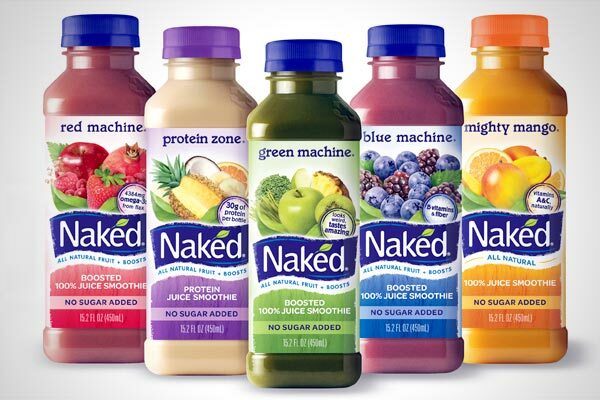 Naked Juice was in the news last year after being forced to retract their claims that their juice was "100% fruit" and "all natural." The juice company, owned by Pepsi, was actually including ascorbic acid and synthetic sources of fiber in their beverages — once again proving that "all natural" can be a fairly meaningless buzzword. 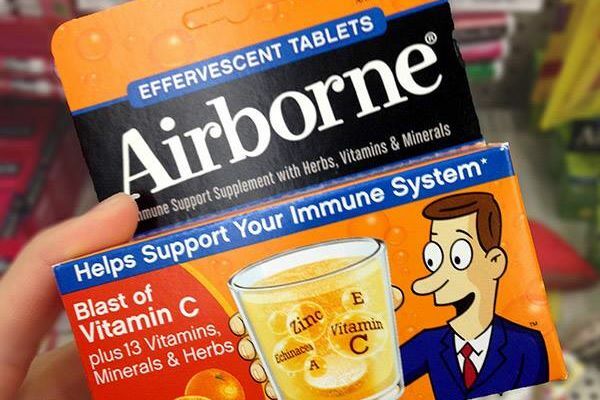 Way back in 2008, Airborne made headlines after claims that it prevented colds by enhancing your immune system were debunked. But despite their very public shaming, many people today still use this product to keep from getting sick. 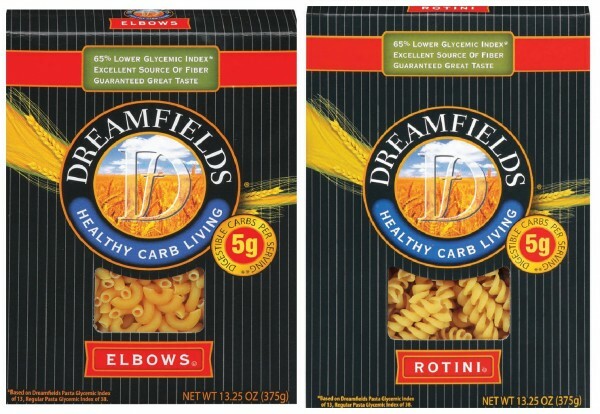 Dreamfields Pasta may not be a household name, but those who bought into the pasta's claims of low-carb living were deeply disappointed to learn that the pricey pasta wasn't any lower on the glycemic index than regular pasta. Dreamfields was forced to pay a multi-million dollar settlement, and had its main marketing angle refuted in a very public way. Reebok wasn't the only shoe manufacturer to get burned during the recent "toning sneaker" craze, but they were perhaps the most memorably dressed down. Reebok can no longer sell shoes that claim to tone your bum and legs better than regular walking shoes, and the company has issued $25 million in refunds to consumers who bought their toning sneakers. 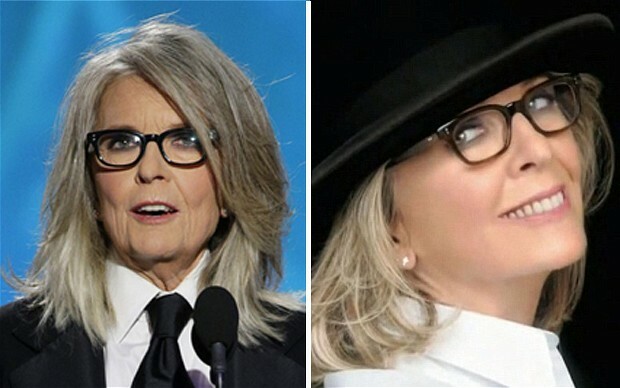 Given the marked difference between the way Diane Keaton looked in a recent L'Oreal ad and the way she looked at the Golden Globes, it's not all that surprising that L'Oreal has gotten in hot water for some misleading advertising. Last year though, the company was forced to remove their "salon only" labels from certain hair products which were being sold in major retailers like Target and Kmart. Makers of electronic cigarettes have tried to market their product as a safer alternative to traditional cigarettes, but that marketing strategy might not work for much longer. 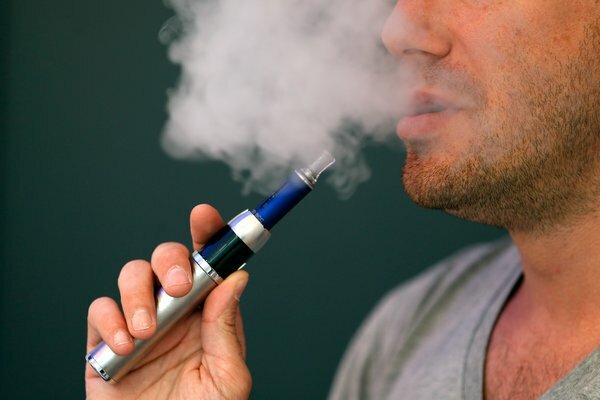 A class action suit against NJOY e-cigarettes takes issue with the fact that the e-cig maker touts its product as a way to help people quit smoking regular cigarettes — while containing many of the same toxic compounds in traditional smokes. 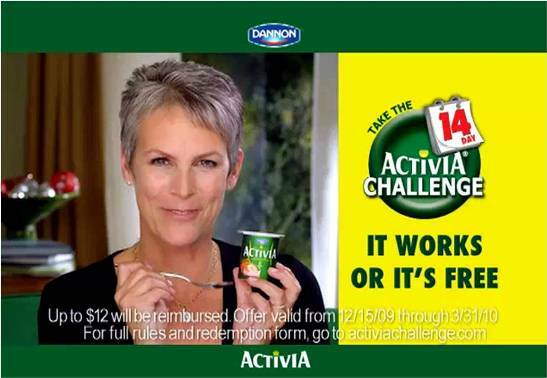 Remember when Jamie Lee Curtis was on your TV every 15 minutes trying to get you to eat yogurt? Dannon's Activia and DanActive yogurts can no longer say that they have been "scientifically" proven to improve gastrointestinal health. 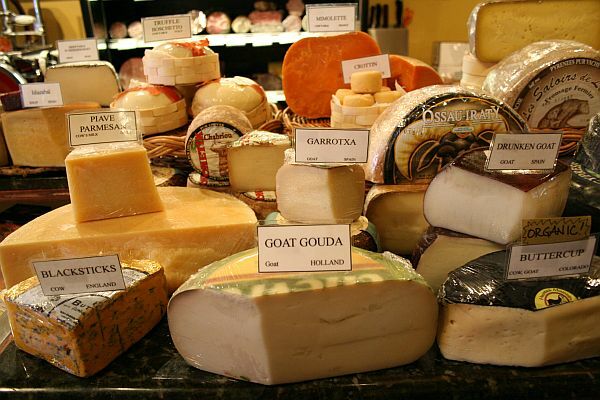 This past March, the EU proposed a ban on using "traditional" names to market cheeses produced in the United States. The Europeans argue that you shouldn't be able to call that white stuff on top of your plate of pasta "parmesan" unless it was actually made in Parma, Italy. We'll have to wait and see how this one plays out. Why Do Companies Keep Making Dubious Claims? "Companies do a cost/benefit analysis on rolling out dubious health benefit marketing claims," says Dee Dee Edmondson Esq., a principal at The Nor'Easter Group. "If you have $100 million dollars in sales, are you really worried about a $3 million dollar settlement? It's the cost of doing business. Consumer loyalty doesn't dip as much as people would think." Edmonson also points out that some consumers just don't care about these false claims, as in the case of Airborne. "Products define people in our society," she explains. "What you eat, what you wear, defines you – and companies know that. People are too busy to pay attention to this blip on the PR screen about these products, or simply don't believe the dissenters about the product because it 'works' for them." Still, there is hope for consumers, at least according to Bill Shelton, the President / CEO of Left Field Creative. "Today's consumer-powered world now takes brands to task on the slightest hint of over-promising, deception (even if only perceived) and blatant falsehoods," he says. "In today's instant media access world, the balance of power has shifted to consumers and they have fully embraced their influence to control brand marketers and force them to be genuine." Readers, what false advertising claims have burned you in the past? Tell us what you think in the comments below! Tucker Cummings is a freelance writer based in New England. She's also written for Yahoo! TV and Tapscape. Follow her on Twitter @tuckercummings on Twitter for her musings on tech, TV, writing, and current events. NJOY electronic cigarettes may make bogus claims but anyone who has smoked traditional cigarettes for any amount of time then quit by using an alternative electronic cigarette can certify they are most definitely safer. I was smoking nearly 2-packs per day and quit by using an electronic cigarette. Still had the expected withdraw symptoms but it made sticking to it much easier. I still use the electronic cigarette periodically and my cardio improved considerably once I made the switch. You MUST shop around, read up and find safe and natural liquids to use as I do not trust those from China or the non organic blends. And Kyser_Soze's comments are, as always, dead on point. What? Naked Juice is not 100% Juice But costs way more than other Brand Juices? I used to buy this for my kid. Jeez. I suspect that anyone viewing a commercial photo of a Whopper would expect Burger King to show a perfectly assembled example, with perfect symmetry and in the very best light. I also am certain that the Whoppers that I have purchased look a lot closer to the commercial photo than the one that Dealnews purchased and claims to be the "best angle". Gawd! It looks like someone stepped on that one. I mean, seriously?! The ugly truth is that "truth in advertising" is the ultimate oxymoron. Advertisers lie every time they open their mouths, and people who believe them are being really stupid. If people would just look for the lie in the ad, there is always one, they can't seem to tell the truth. And then if people would ask themselves, if that is a blatant lie, how can I trust anything else they are trying to tell me. #9 reminds me of a joke from the colbert show: "I just tried some of that jamie lee curtis yogurt and you can hardly taste the p00p at all!" The problem is today all companies do the same things, so it isn't like you can go anywhere else and do better. This whole country is just a giant marketing scheme, job one is sell it first, and worry about any problems later. 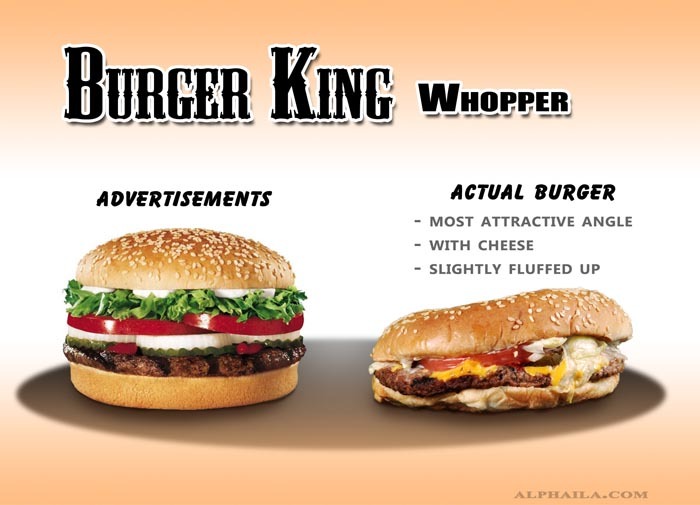 The Whopper picture is great!